I kid you not, I have a wooden sign above my kitchen window that proudly displays that sentiment. 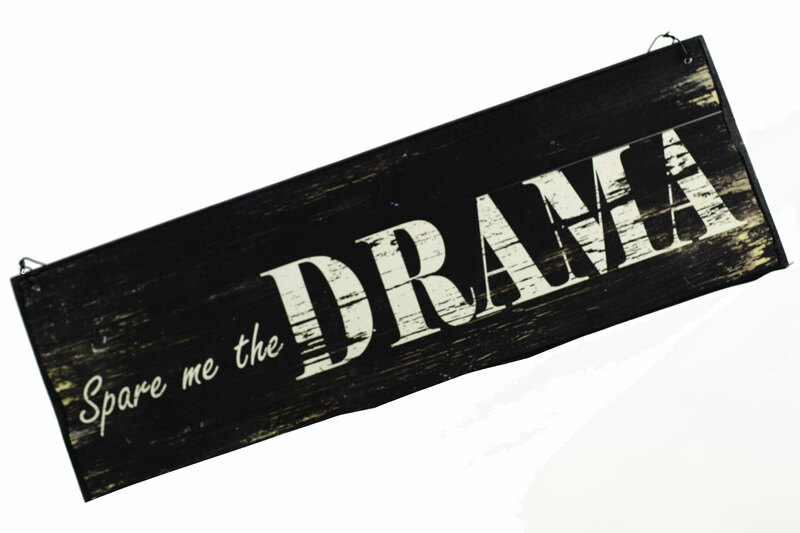 Spare Me The Drama. I admit it…I am no good with whiners. It must come from my mother – she is the. most. pragmatic. woman. ever. When you fall in a ditch – lay there for a minute, then start thinking about how your going to get out of it. That’s her favourite sentiment. So when I actually did fall in a “ditch” – er ugh, trip over a lacrosse bag last year while photographing a game, I sucked it up, hobbled off, ransacked an ace bandage out of another player’s bag and got back to business. That was nearly a year ago. I am still hobbling around – having been tied to “das boot” – (a therapeutic boot), examined by countless doctors, endured physical therapy and forced into unfeminine flats for 11 months. I have moved past the “frozen ankle” stage, thankfully – but I am still in a lot of pain (there is only so much Aleve a gal can take). I have inched my way back into physical activity and decided yesterday, I would try to run again. What was I thinking? I was up most of the night with a throbbing ankle. Oh dear, I am whining. Ugh. Conviction. “Ok, I will go”, I said to myself. After study, one of my friends came over to me. “I just want to thank you,” she said. I was surprised. “Why?” I asked. “Oh, I am sorry – it sounds like a crazy one…” I said, still not understanding the point of the conversation. My little dramas and whimpers don’t seem so important now – but those two hours sitting with my sister’s in Christ breathing in God’s word were just the right therapy for me. When the real dramas in life come (and they will) – we can be ready for them if we are fortified by time spent in God’s word, knowing that He is walking with us, through us and in us…no whining necessary. Do the Right Thing, Encouragement, Life lessons, Life Stories, Observations, What Is Truth?